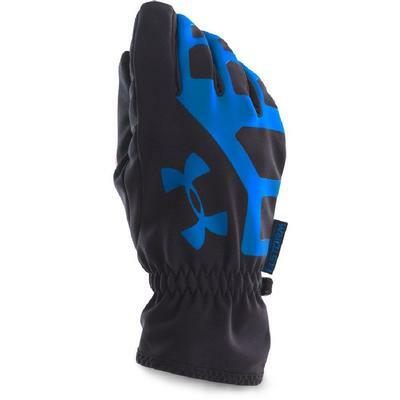 The Under Armour Cold Gear Infrared Storm glove will keep your hands dry, warm and protected during cooler weather. Using a combination of water and wind resistant Storm technology with Cold Gear Infrared fabrics for added warmth, you will be able to keep your fingers just as warm as your core. The Armour Grab Tack palm offers superior grip and the glove is also touchscreen compatible letting you pause your work out on your favorite fitness app without having to expose your hands to the elements.